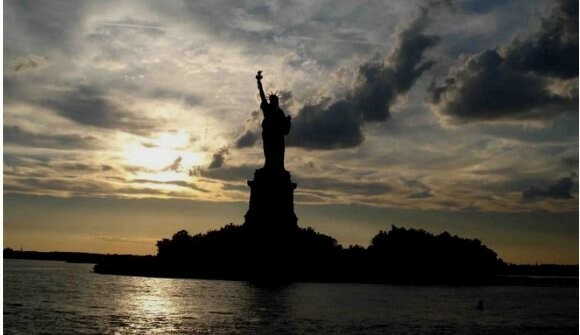 Book tickets to Statue of Liberty cruise in New York. Manhattans amazing skyline in New York. Hop on board for an amazing Statue of Liberty Cruise. Buy tickets here! We see and hear all about the majestic Statue of Liberty, Ellis Island, the Historic Immigration Centre, and of course the World Financial Centre. Look up and take in the awesome skyscrapers that makes New Yorks fabulous skyline come alive! There will plenty of beautiful photo opportunities. We do not visit Liberty Island where the Statue of Liberty is situated. - Please remember to bring your voucher to the ticket office and exchange it for a boarding pass. Please be there 45 minutes before the tour starts for ticketing and boarding. - The ticket is valid on the booked date! Various departure times. Please see more to the left.